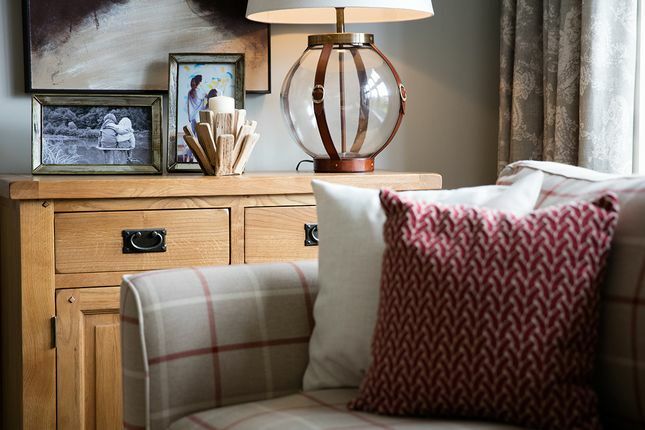 The distinctive Cambridge is a four bedroom detached family home designed for the dynamics of daily life, with spacious accommodation throughout, finished to a superb standard. Upstairs comprises a single and three double bedrooms, plus a family bathroom. Bedroom two has fitted wardrobes and the master bedroom also has an en-suite shower room. Downstairs, family living will centre on the vast open-plan kitchen / dining area, which stretches the width of the rear of the property. This combines a fully fitted kitchen with good quality appliances and a separate utility room, with a bright, airy living / dining area with patio doors to the private garden. The Cambridge also offers the sanctuary of a separate lounge away from the cut and thrust of family life, as well as a downstairs cloaks. Externally, the Arts and Crafts inspired architecture delivers real impact, with a portico roof porch to welcome your guests. 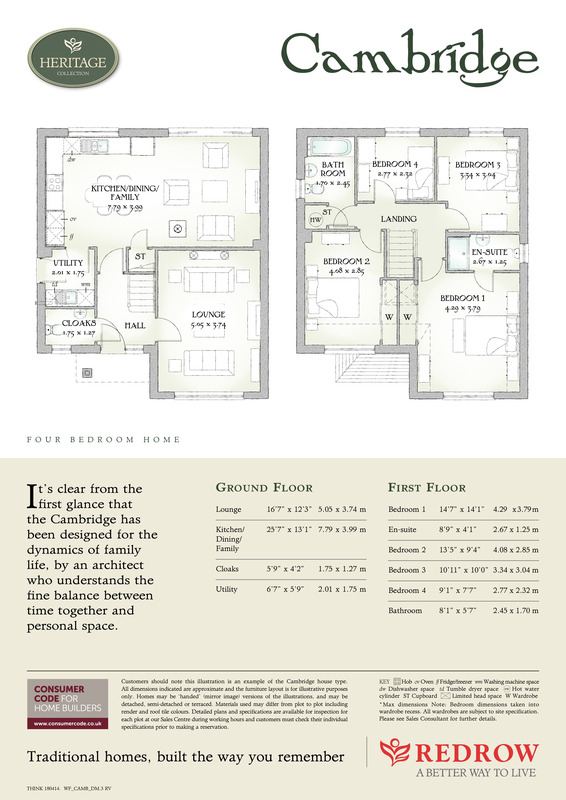 Designed with a real feel for families, the Cambridge is a first class home of the very highest quality.